I am pleased to introduce the new release of PiCluster! In PiCluster 2.2, there is now support to deploy functions! With this new feature, applications can spin up containers themselves and retrieve data from the PiCluster server. Let’s explore how this works. 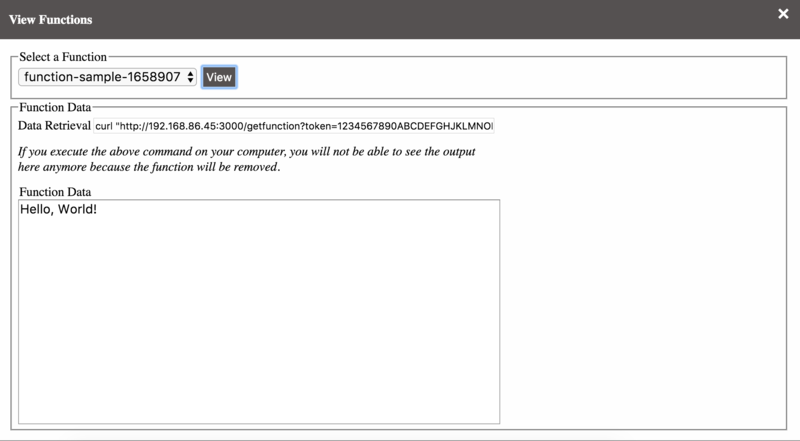 When a function is finished running, the container is automatically deleted and the output is stored on the server. When the application requests the data from the server, the data is removed as well. 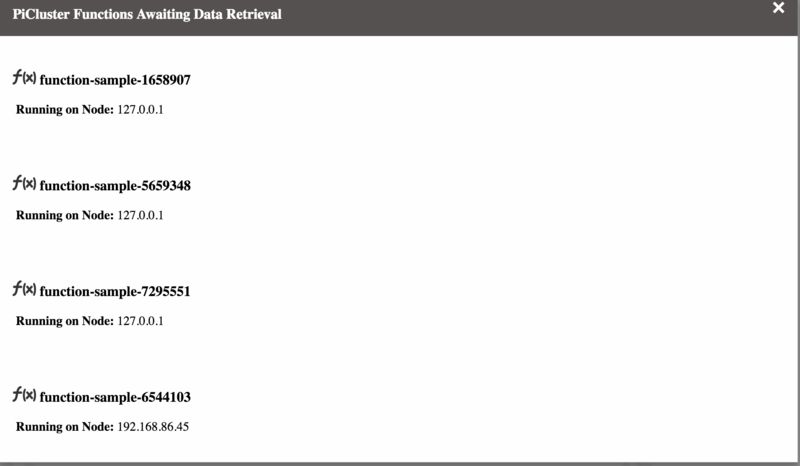 In the screenshot above, you can see the current functions running on the cluster where the data is not retrieved yet. There is also another option under the functions category to remove all the functions and the output data stored. In the screenshot below, you can see the function viewer. From here, you can select a function where the output was not retrieved yet by an application and view the output. You will also notice that there is a curl command in the Data Retrieval text box. For testing, you can copy and paste the contents into a terminal to see the output from the function. In the screenshot below you can easily create functions for testing purposes. After you click create, you can go to the function viewer and see the output. Check out the Wiki page for code samples and an overview of how it works.